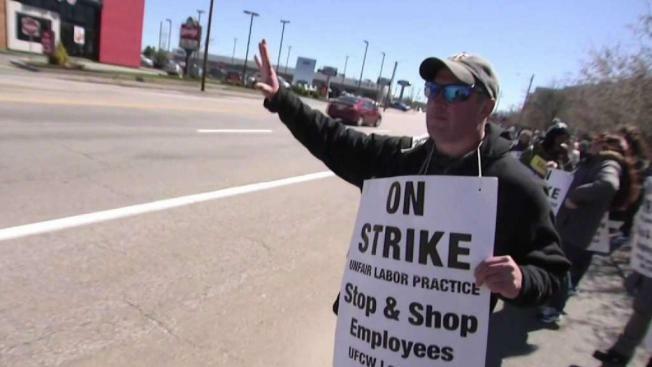 The Stop & Shop strike stretched into its sixth day as negotiations continued. While thousands of Stop & Shop employees continue to strike in three New England states over what they call an unfair contract proposal, another famous politician will be throwing his support behind them. Former Vice President Joe Biden is scheduled to speak Thursday at a rally in support of the unionized employees outside the South Bay Center store in Boston's Dorchester neighborhood. 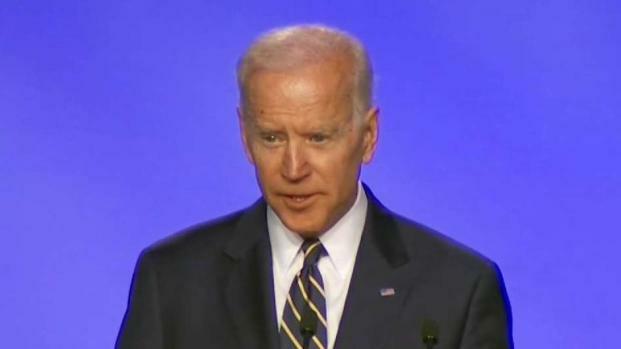 Biden is expected to be joined by Mayor Marty Walsh at 2 p.m.
Biden, mulling a run for the Democratic nomination for president, last week tweeted his support for the workers. While negotiations continue on day six between Stop & Shop and The United Food & Commercial Workers (UFCW), striking employees say they are not impressed by the political attention. Former Vice President Joe Biden will join striking Stop & Shop workers on the picket line Thursday. "They are just names," said Woburn cashier Liz McNamara. Assistant deli manager Jim Smith added that it's been more difficult to not be working. "I don't think it's going to help the negotiations," Smith said of Biden's upcoming visit. "I don't think it'll help either side. He's not going to have a lot of input into what goes on." 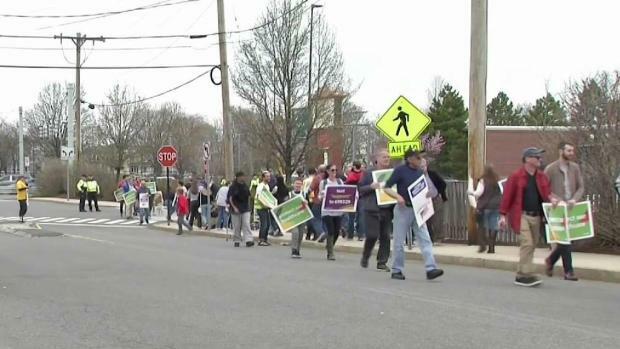 Tens of thousands of Stop & Shop employees in Massachusetts, Rhode Island and Connecticut walked off the job April 11 over "unreasonable" wage and benefit cuts. Workers have been picketing outside stores ever since. The Quincy-based supermarket, a division of Dutch company Ahold Delhaize, says it is offering across-the board raises and "excellent" health care benefits that beat industry standards. Biden is the latest politician to lend his support to the striking workers. U.S. Sen. Ed Markey joined workers in Quincy Monday while Elizabeth Warren joined workers on the picket line in Somerville on Friday. As the strike continues, those who live on Nantucket said avoiding the supermarket chain has not been easy. Stop & Shop runs both of the grocery stores on the island. On Wednesday, one location had a picket line and the other was closed entirely. Nantucket resident Brian Glowacki took requests on social media while grocery shopping off island. "Immediately people were like, 'I need bread. I need cheese.' So I was like, 'alright,'" said Glowacki. "People are getting antsy because it is really the only place to get groceries. Hopefully it ends soon." Stop & Shop's president Mark McGowan has issued an apology to customers saying in part, "We are committed to resolving our labor negotiations as quickly as possible so that our employees can return to their jobs and we can get back to better serving you and the community." "In the interim, we're also committed to keeping our doors open for our customers. We are grateful to members of the management team and others who are jumping in to assure that you continue to receive service."